➡️smart unreserved bookings options .avbl here . CoTVM are located at the main entrance of the stsn ,and 5 similar machine are placed at PRS office . 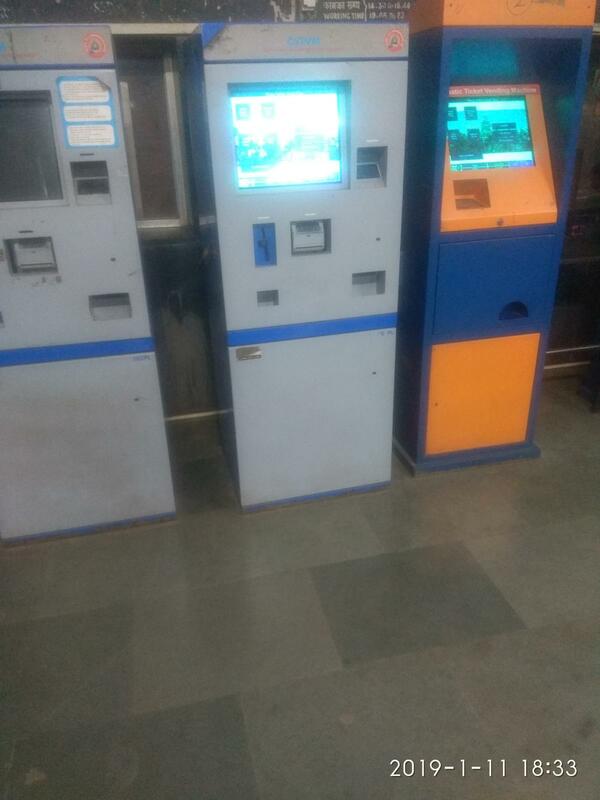 ➡️The CoTVM is Coin ticket vending machine ., just fill the Necessary details ,on thr the machine , as per the journey required . and it will show the Total amount of that tkt, insert the Currency notes at the centre input of the machine . 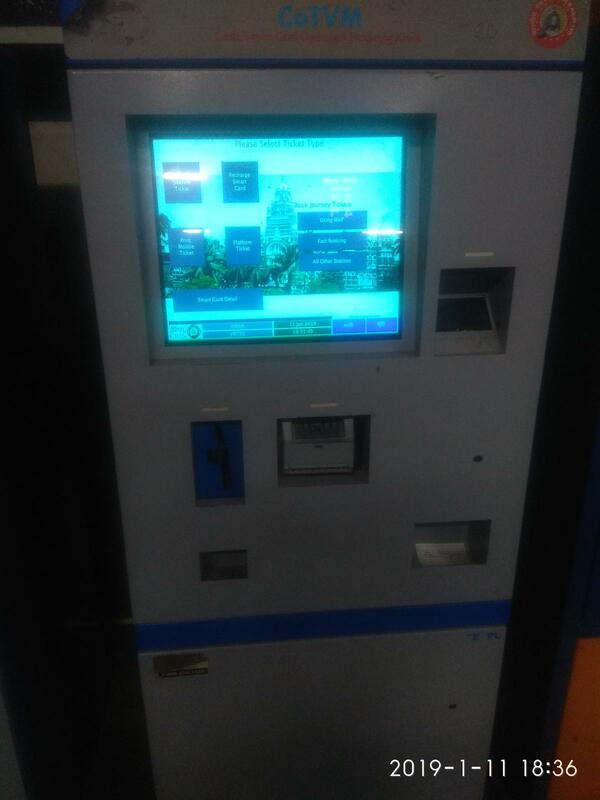 It accept's Notes of 10,20,50,100 .
inserting the money , it will process the Amount and Immediately UNRESERVED tkt will be printed and will be available on the bottom right corner of the machine . ➡️Urs tkt also booked through smart card on CoTVM machine .